While good-quality garage doors typically operate smoothly and flawlessly for several years down the line, it is the sensors that actually come to your rescue when something goes wrong with the fixtures and their capacity to stay open. In other words, you can easily say that the invention of sensors is a boon for mankind, and has effectively contributed towards reducing the occurrence of mishaps and enhancing the quality and functional ability of the openers tremendously. 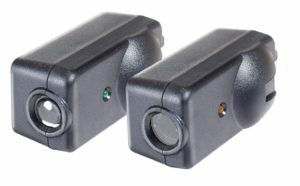 However, many times the wiring of these sensors malfunctions or loses control over the device resulting in it being unable to communicate with the opener. At Ottawa Garage Doors, we have an incredibly talented and proficient workforce that specializes in the inspection, detection, identification, and solution of garage door sensor problems. Depending upon your specific door condition, we would either correct the alignment of your sensor with the opener or entirely replace the device if it is damaged beyond the scope of repair. With years of expertise and extensive exposure to the modern needs of the contemporary homeowners in Ottawa, Ontario, we possess a comprehensive understanding of the structural and functional design and engineering of garage door sensors. Our team of highly dedicated and energetic professionals is well-equipped with all the modern and complex tools required for fixing your garage door sensor issues and correcting their alignment for uninterrupted communication with the opener. 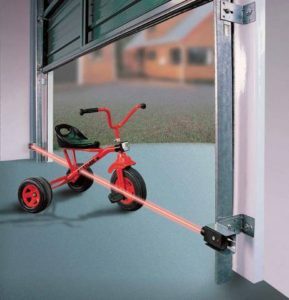 The sensors are one of the essential safety features of your garage door. We are proud to be one of the leading service providers in Ontario for taking care of your garage door related needs and complaints. Our technical know-how makes us highly proficient in not only identifying the slightest of errors in your garage door sensor system but also in ensuring their rapid and reliable correction for your utmost safety and protection.